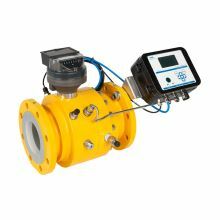 The operation of the FMT series of turbine meter is based on the measurement of the velocity of gas. 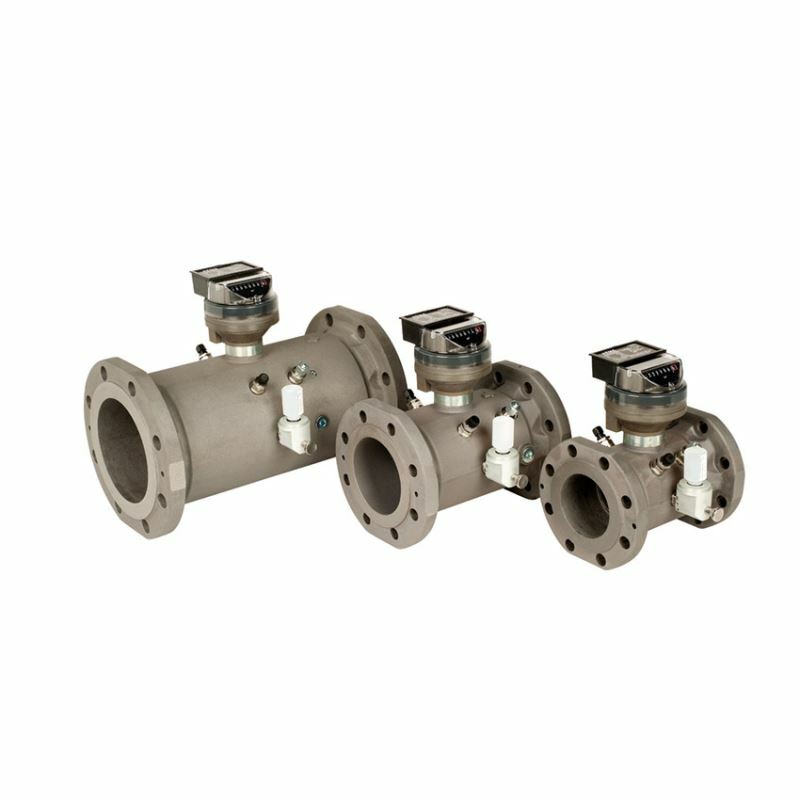 The flowing gas is accelerated and conditioned by the integrated multi stage flow conditioner. 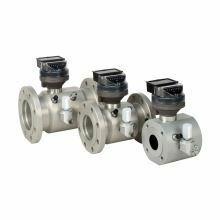 The multi stage flow conditioner prepares the gas flow profile by removing undesirable swirl and asymmetry before the gas flows over the freely rotating turbine wheel. The dynamic forces of the flowing gas cause the rotor to rotate. 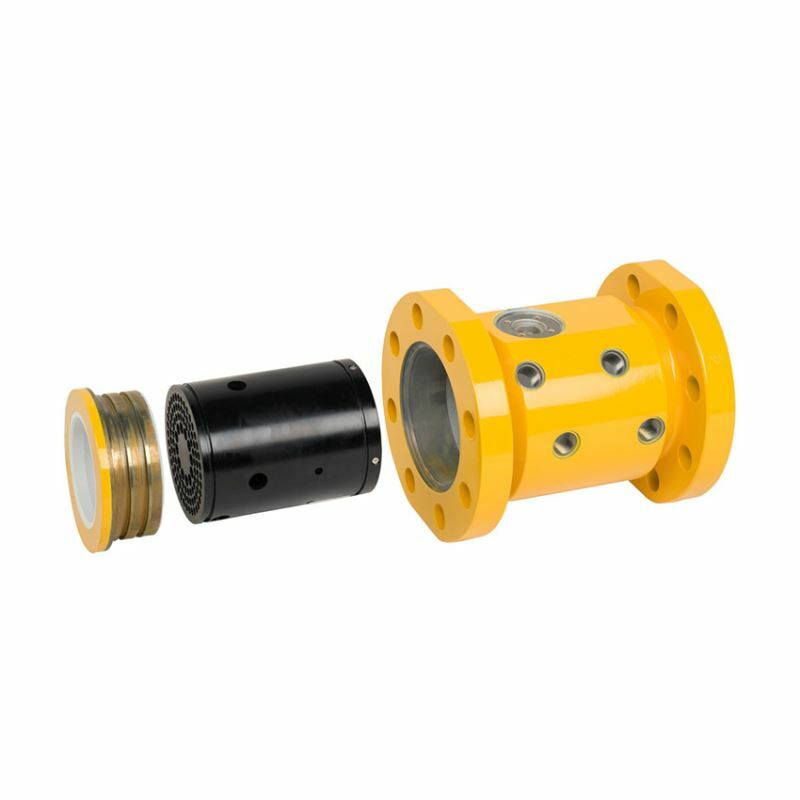 The turbine wheel is mounted on the main shaft, with high-precision, low-friction ball bearings. The turbine wheel has helical blades that have a known angle relative to the gas flow. The gas flow drives the turbine wheel at an angular velocity, which is proportional with the gas velocity. 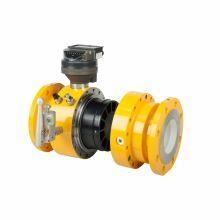 Using a gearing mechanism, the rotating turbine wheel drives the mechanical counter. The standard FMT-Lx turbine meter is suitable for custody transfer gas measurement of all non-corrosive gases such as natural gas, propane, butane, air, nitrogen, hydrogen, etc. 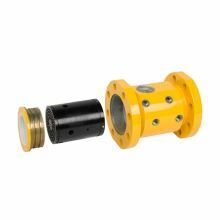 for low and high operating pressures. Special constructions can be supplied for use under extreme condition like high temperatures or corrosive gases. 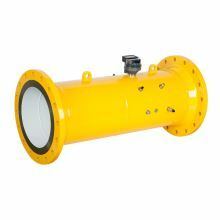 The FMT-Lx can be modified to perform as a master meter or transfer master meter.